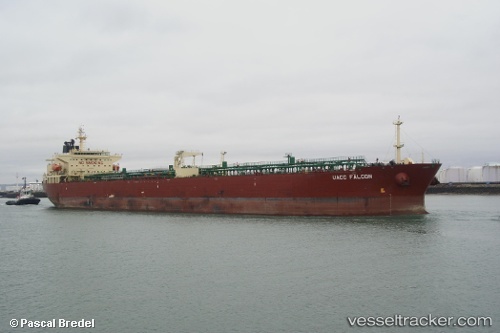 Zjr "UACC Falcon", being laden with 60,000 tons of jet fuel, has diverted to Port Everglades midway on its voyage to northwest Europe, from Sikka, where she had sailed on Aug 31, 2016, due to hurricane Matthew. The tanker was first heading for Le Havre via the Cape of Good Hope, ETA Oct 20, 2016. Now the vessel was scheduled to discharge at Port Everglades.